Clapham has gained attention and growth recently, attracting young professionals and new families from all over the world. Its busy, contemporary high street has benefitted from a number of well-known names and independent businesses moving to the area and a selection of good schools and green spaces are also nearby. There are many Victorian family homes in the area and Graften Square is lined with mid-nineteenth century properties designed by the respected Thomas Cubitt. There are a selection of evening venues in Clapham, with a choice of independent or chain cocktail bars and various pubs. For a night out, the Clapham Grand near Clapham Junction is a refurbished Victorian music hall with a variety of weekly club events. Previously known as The Loft, Dirty Martini opened in April and are famous for their trademark martinis. This venue is sure to attract anyone looking for a fun and lively night out, with regular DJ’s playing late into the night. Cocktail offers are run every night, with deals also on beer and wine for those who are not a fan of cocktails. Sharing platters and bar snacks are also available. Clapham Common is a beautiful open green space with 3 ponds, a Victorian bandstand and various summer events, including music in the bandstand. 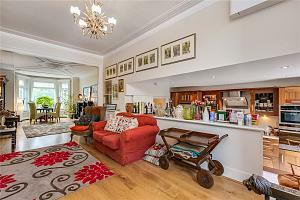 Wandsworth Common is also nearby and is in walking distance of Clapham Common. There is an enviable selection of restaurants, with many growing chains using Clapham as one of their first London homes as they expand. The Clapham branch of Roxie Steak (also based in Putney, Earlsfield and Fulham) offers a cheesesteak for just £5. Venn Street hosts a weekend farmers’ market, which encourages a community feel in the area. The Windmill on the Common is perfectly located on Windwill Drive, within Clapham Common. This hotel offers classy dining with a great view. Many young families are drawn to Clapham by the selection of good schools available. The top 5 primary schools are Macaulay CofE, St Mary’s Roman Catholic, Clapham Manor, Allen Edwards and Wixs Lane. The best secondary schools are Bollingbroke Academy, Thomas’s Clapham, St Francis Xavier and Harris Academy. 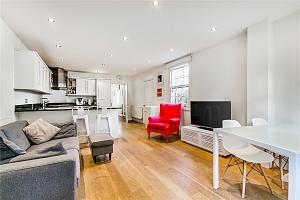 Clapham is split between zones 2 and 3 and has excellent transport links to central London, ensuring a quick commute. It also benefits from the new Cycle Superhighway. Clapham High Street Station and Clapham Junction both provide mainline services and Clapham is well connected via the tube. Clapham is very well connected with beautiful characteristic houses.